Complimentary CW Shuttle to and from Busch Gardens. At Colonial Williamsburg Resorts you’re always just minutes from more – more to see, more to do, more to experience. Start planning your trip today and enjoy bouncing back and forth between Colonial Williamsburg, Busch Gardens, and Water Country. Please Note Park Operating Schedule below. Daily complimentary parking at all parks. March 29 through April 7 and April 12 through April 28, 2019 the park is open daily. 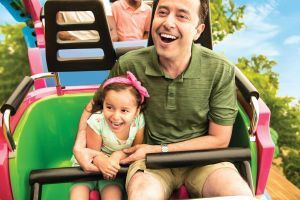 May 3- May 19, 2019 the park will only operate Friday – Sunday. Open from May 18-September 8, 2019 only.